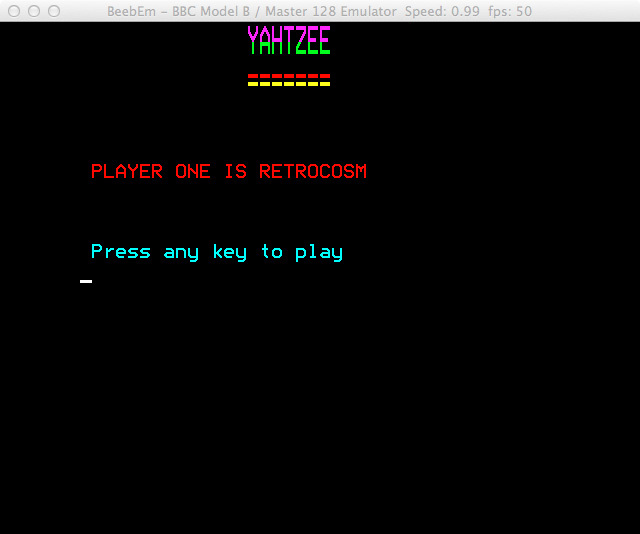 Perhaps somewhat foolishly I’ve decided to follow in Urbancamo’s footsteps and use this year’s Winter Warmup as an opportunity to try to finish my 28 year old school project, specifically a version of the dice game Yahtzee written in BBC BASIC. The recovery from disk of the original unfinished code has transported me directly back to 1985 and the fifth year computer studies class where a put upon Mr Rigby tried in vain to concentrate our minds on programming when we were more interested in throwing each other’s school bags out of the windows and bunking off for a fondle with the girls in the tennis courts. What little work was achieved was done using BBC Model B computers. These machines remain very popular and still command a fair price at auction. I’ve been intending to buy one for some time and this current trip down memory lane has jolted me in to action. I’m therefore awaiting the arrival of a BBC Master, dual disk drives and Microvitec Cub monitor with which I intend to finish my Yahtzee program. While looking for a Model B I chanced upon this listing instead which had a very reasonable ‘Buy it Now’ price. Having looked through the code that I originally wrote I can remember quite vividly the reason the project remained unfinished. I was unable, or more likely unwilling, to figure out the necessary code to keep score, instead relying on the player to enter it manually.  Clearly this was a cop-out that needs rectifying and I will therefore attempt the figure out the necessary code and finish the program. Whether I can then get upgraded to a ‘B’ from the ‘C’ grade that I originally received remains to be seen. 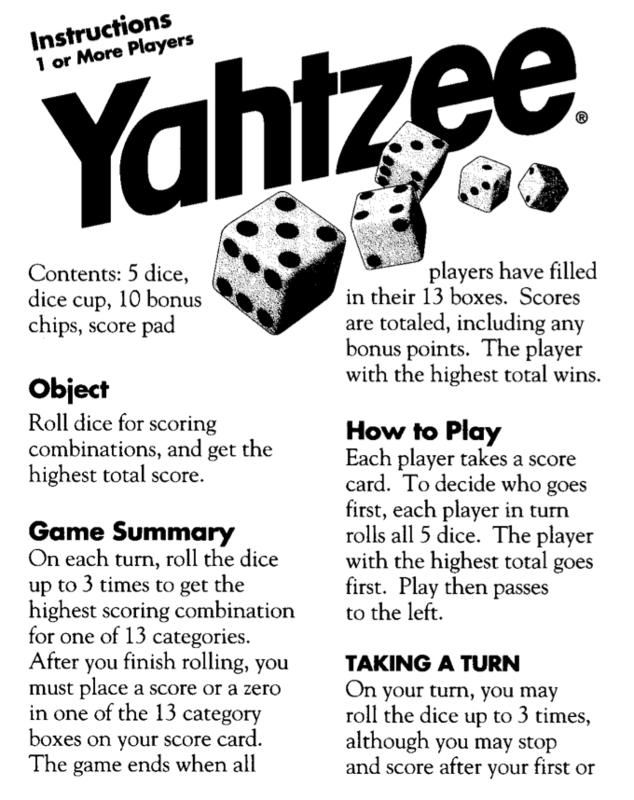 A quick search for ‘Yahtzee Instructions’ led me to a PDF helpfully provided on the Hasbro site. I now need to figure out the most compact and elegant way of determining for scoring purposes which dice the player has rolled. If I can achieve that, if, I may also look at jazzing the graphics up a bit. 140 PRINT"     É     PRESS ANY KEY"
250 PRINT"ÑPLEASE ENTER YOUR NAME"
360 PRINT"ÜPress any key to play"
540 PRINT TAB(1,25);"HOLD ";F;" ?" 1040 PRINT:PRINT"É  Yahtzee is a simulated dice throwing"
1050 PRINT"Égame for one player." 1060 PRINT"ÉThe player shakes his dice." 1070 PRINT"ÉAfter shaking you may pick up any"
1080 PRINT"Éamount of the dice you wish and shake"
1090 PRINT"Éagain until you are satisfied with"
1100 PRINT"Éyour score.You may do this twice after"
1160 PRINT:PRINT"ÜPoints are obtained for geting certain"
1170 PRINT"áÜamounts and patterns on the dice"
1180 PRINT"Üeg Runs,Sets and Pairs"
1190 PRINT:PRINT:PRINT"ÉPress any key to play"
1290 PRINT"ÅAmounts on dice         Score"
1330 PRINT"ÑFOUR OF A KIND           80"
1340 PRINT"ÑTHREE OF A KIND          70"
1380 PRINT:PRINT" please enter your score "
Hi. I’m in the challenge as well. I also had a BBC Micro many years ago ; if you let me know which bit you don’t understand I can probably figre it out. Hi Paul, cheers, I’m working my way through it now, any idea what lines 1620 and 1630 do?